Fieldwork: Marfa caters to emerging artists, critics and/or researchers whose projects require immersion into the specific environment of Marfa and Texas territory, necessitating movement through geography as well as time and space for the purposes of specific research work. The program comes with a research grant, enabling the applicants to produce theoretical and/or practical work using their own methodologies, with support from a number of professional partners, specialized stakeholders and educational institutions. Fieldwork: Marfa is an inter-school research group that provides a framework for the incursions and endeavors of researchers-in-residence. The work itself fuels various joint projects, in the form of an ongoing annual program based on the participants’ residency schedules. 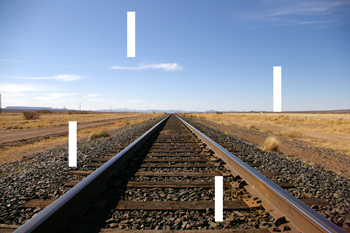 Fieldwork: Marfa caters to emerging artists, critics and/or researchers whose projects require immersion into the specific environment of Marfa and Texas territory, necessitating movement through geography as well as time and space for the purposes of specific research work. The program comes with a research grant, enabling the applicants to produce theoretical and/or practical work using their own methodologies, with support from a number of professional partners, specialized stakeholders and educational institutions. Fieldwork: Marfa is an inter-school research group that provides a framework for the incursions and endeavors of researchers-in-residence. The work itself fuels various joint projects, in the form of an ongoing annual program based on the participants’ residency schedules. Fieldwork: Marfa provides workspace and accommodation for the duration of the residency in Marfa, as well as a research grant up to $3,000. The residents will have access to a vehicle (with a valid driving licence) and will receive assistance from an on-site coordinator. They will have the opportunity to exhibit their work in the gallery space attached to the residency.The researchers-in-residence will also have the possibility to meet with professionals in their fields of research.